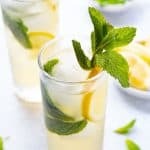 Tart and refreshing, this Lemongrass Ginger Cooler take the lime or lemon in a glass to a whole new level. 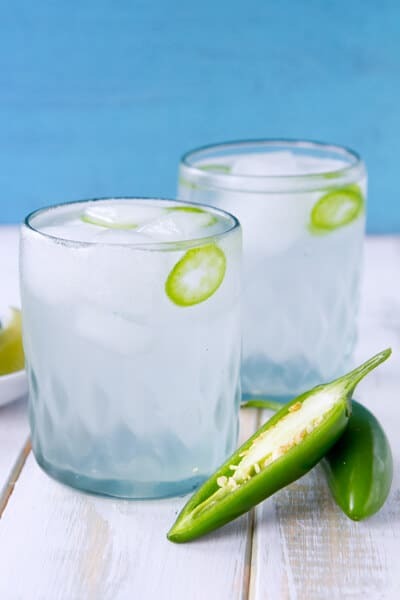 This non alcholic drink is a deliciously spicy way to stay hydrated! 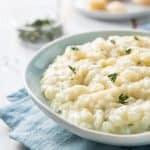 Sweet, salty, bitter, sour and umami – otherwise known as the 5 basic “tastes” and the foundations of flavor. 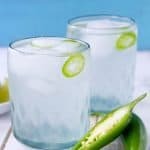 Although it’s technically not a “taste” I would add one more – “spicy” or “heat” – that tingly warmth that only a pepper can provide like the jalapeno in this Lemongrass Ginger Cooler. 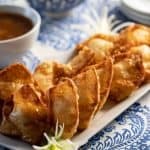 Salsa, Kung Pao Chicken, Creole Shrimp and any of the myriad Indian curries just wouldn’t be the same without them – and we wouldn’t be as obsessed with them. 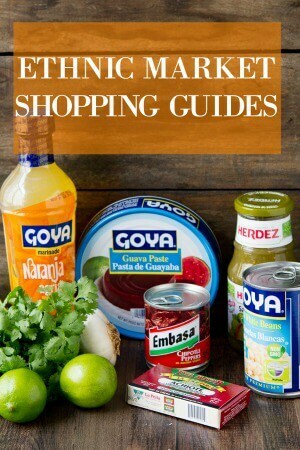 Spicy or “hot”dishes hold a special fascination – and if you don’t believe me, take a stroll down the aisle of your local supermarket and check out the sheer number of “spicy” condiments!!!! So, most of us are all familiar with bell peppers, jalepeno’s and… if you’ve been reading this blog for a while, Hatch chiles… but what of the other 50 or so other types? The Pequins, Tepins, guajillas and, Shishitos? Do you ever look at a recipe that lists a pepper and pass it by because you had no idea what that pepper was or because you knew your market didn’t carry it and you had no idea what other pepper you could use? Yup, I thought so….well, “been there, done that… read the book”. 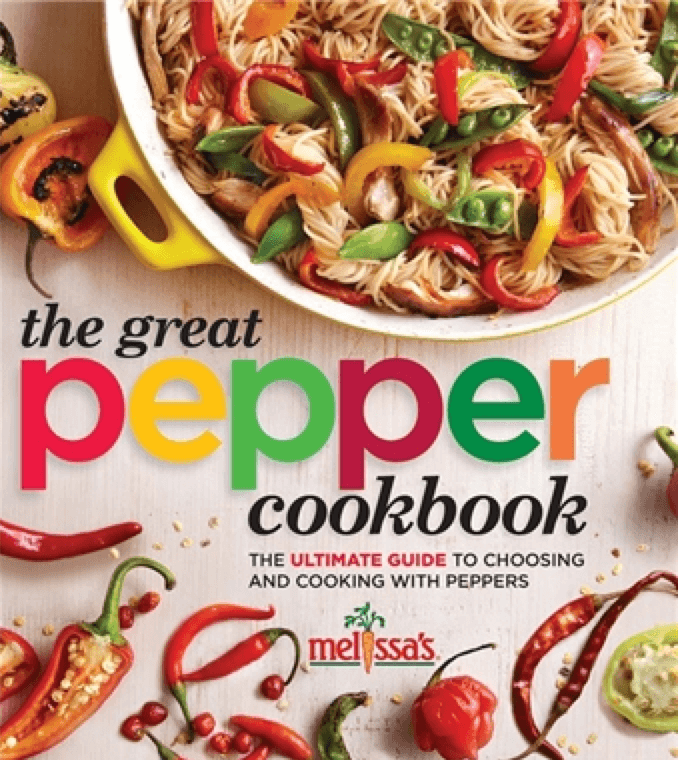 And yes, I literally have just read “the book” – Melissa’s Produce’s brand new book – “The Great Pepper Cookbook – the Ultimate Guide to Choosing and Cooking with Peppers” – and this is definitely the book that has been missing from my bookshelves for far too long. 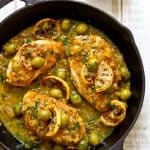 Of course, it has fabulous recipes – that goes without saying. But what really excites me about this book is this – it’s a “passport to understanding the most universal ingredient of the New World”. By that I mean this book has a beautifully illustrated guide which explains “heat” – i.e. the Scoville scale and then goes on to describe individual peppers – where they are on the Scoville scale, their season (for fresh peppers), what other names they go by and… what other peppers you can subsitute with if you can’t find that particular pepper – or like me, you don’t plan far enough in advance so you can order them from Melissa’s !!! 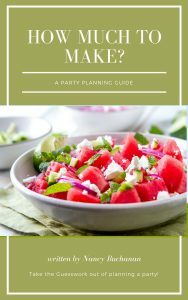 So, now that I’ve convinced you to buy the book … or put it at the top of your list for Father’s Day, wedding showers, birthdays or… my personal favorite – instead of the usual bottle of wine hostess gift… what kind of recipes are in the book? The answer course is just about anything you can think of… including this Lemongrass, Ginger Cooler which gets it’s kick from jalapenos! This past weekend I made up a batch of this to sip (ok, I did more than sip!) while I planted tomatoes and herbs in the garden. 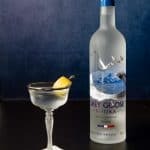 It’s incredibly refreshing and would also make a terrific base for a cocktail! You can add a little honey or agave nectar to sweeten this if desired. I also served it with a splash of lime juice as well! Combine all the ingredients in a large saucepan. Bring to a boil. Reduce heat and simmer for 30 minutes. Strain into a pitcher and discard solids. Cool for an hour and serve over ice.